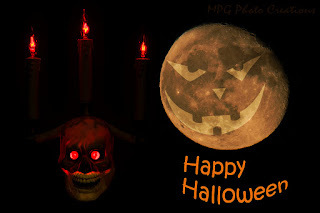 Happy Halloween or All Hallow's Eve! Hope you have a good time with the Trick or Treaters or get some treats yourself. This image is just something I created for the day with a shot of the moon I took in Topeka the same night I photographed the Capitol and some other related items.